HOME /Blog /UGears Windmill Tower – subdue the wind power! 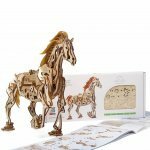 UGears Tower Windmill, UGears new 3-d puzzle made with natural wood materials. Designed on a prototype of a classic windmill, this model features a mechanical torque transmission and cotton threads for extra support of windmill blades. 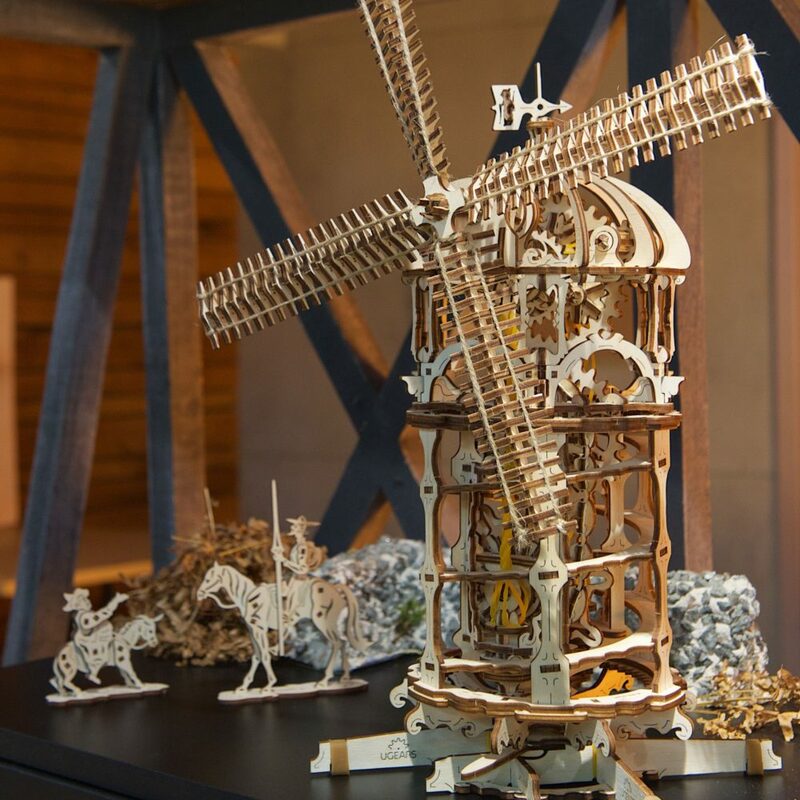 The Tower Windmill consists of 585 pieces and requires about 10-16 hours for an assembly. Complex, yet entertaining this set is ideal to work on and play with friends and family. UGears Windmill product details and specifications. This mechanical model is powered up by a removable rubber-band mechanism. To set the Windmill in motion, rotate the spiral outer frame of the tower counterclockwise and release the trigger, located at the base of the tower. The rotating motion, distributed to the outer frame activates the blades of the windmill, setting the spiral frame of the tower and its internal mechanism gears in motion all at the same time. Once the motor is removed, the Windmill will continue working in a manual mode that allows you to observe its fascinating complex mechanism in great detail. The sturdy and well-balanced structure of the tower rests of the base that provides stability and support for the entire model. The top of the arched tower features a weather vane with an engraved company logo. Two historic figurines of 17th-century Spanish classics, the Ingenious Nobleman Don Quixote and his quirky companion Sancho Panza add a finishing touch and complete this intriguing piece of the early Modern Period mechanics. 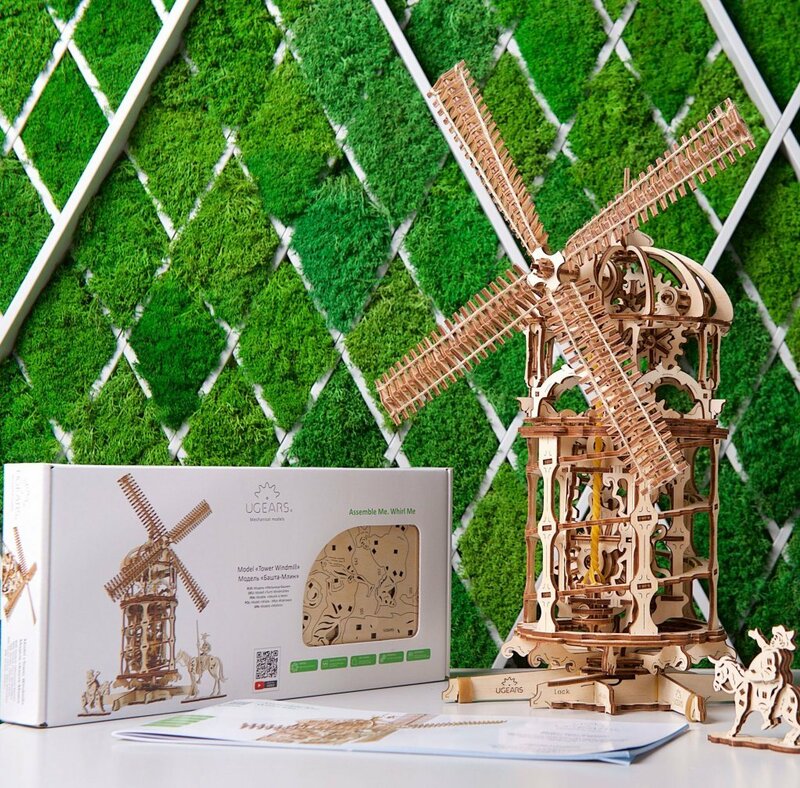 Made with high-grade natural wood materials and featuring exquisite and unique design, the Tower Windmill by UGears makes an deal addition to your living room or a study decor. To purchase UGears Tower Windmill, visit our website and place an order on our online catalog. 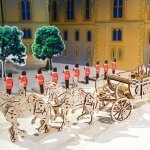 UGears Royal Carriage – treat yourself like royalty!